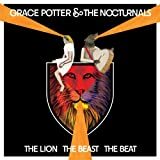 Amazon Coupon Code: The Lion The Beast The Beat Grace Potter & The Nocturnals . $12.99 & eligible for FREE Super Saver Shipping on orders over $25. 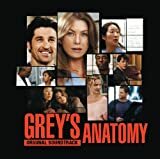 The "Grey's Anatomy" soundtrack features an eclectic mix of indie pop and rock artists whose music was heard during the first season of Grey's Anatomy--a wildly popular ABC drama about surgical interns in Seattle. The soundtrack features electrifying music from such beloved indie artists as Rilo Kiley, The Postal Service, Ben Lee, and Medeski, Martin & Wood, as well as undiscovered talent such as London-based electropop duo Psapp, who supply the show's main title song "Cosy in the Rocket." In my opinion, some of the best music to come out of a TV series in a while will be released on Sept. 27.